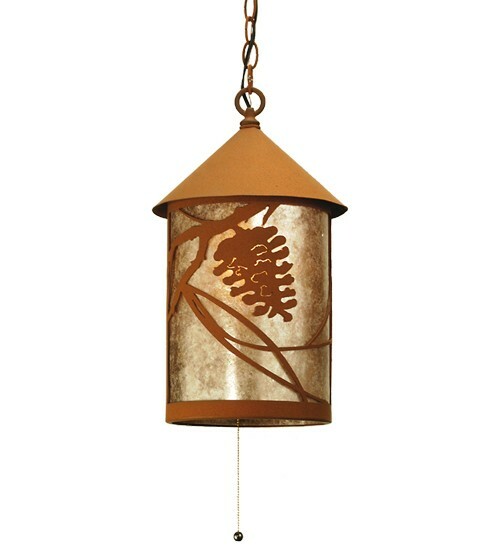 Bring rustic charm into your home with this classic lantern profile pendant light. The Pinecone Lantern Pendant Light features a Silver mica shade accented with pinecone motifs finished in Earth. Made in the USA. Bring rustic charm into your home with this classic lantern profile pendant light. 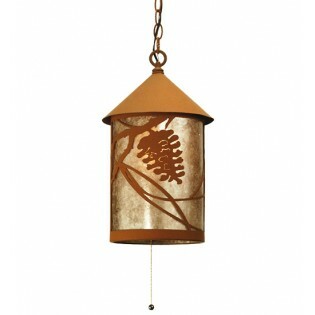 The Pinecone Lantern Pendant Light features a Silver mica shade accented with pinecone motifs finished in Earth.